It's time for Turquoise Lovin' again!! SO much fun stuff out there this week. As always, thank you SO much for sharing your beautiful projects at this party each week. And in case you hadn't noticed a change in the rules, I am allowing and WANTING you to enter your RED projects into the party too. I figure since my signature colors on this blog are turquoise and red, we may as well enjoy the red stuff too!! I am having such a hard time accepting that Valentine's Day is gone now. Boohoo. It's SO easy to decorate for Valentine's Day since my very favorite colors go SO well with the day. I love the hearts and the roses and the sweetness that comes with it too. That's why I LOVE this Valentine's Day coffee and donuts decor from Homespun with Love. 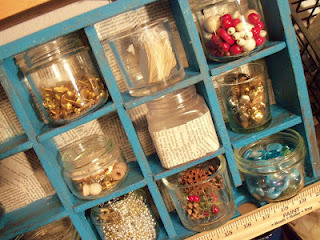 Make the Best of Things came up with the cutest cubby shelves I've see for awhile. I love the shabby look she gave them and the bright colored turquoise is amazing!! 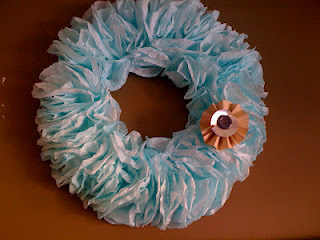 Can't believe this wreath from Shimmer & Tulle is made out of coffee filters! How creative is THAT? 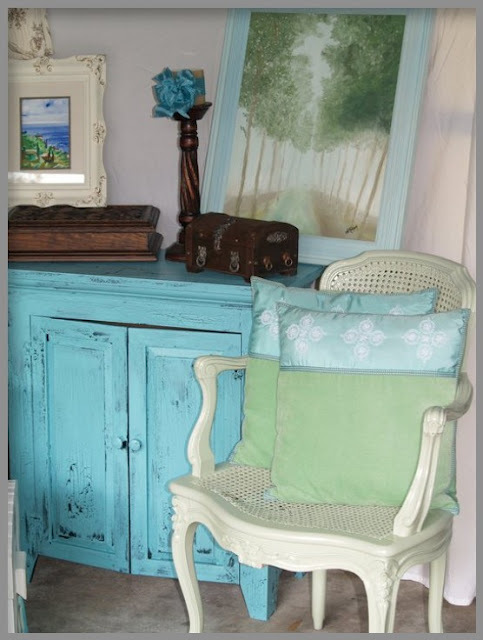 Love these turquoise lovelies from one of my VERY favorite blogs Swede Dreamer. She did a giveaway here quite some time ago and I still absolutely ADORE her style! Also would REALLY appreciate it if you would take a sec to follow me on Linky Followers too!! Please leave a comment and I will be happy to follow ya back! Im so happy to have found your link party! Turquoise is one of my favorite colors! I want to share something that isn't turquoise, I hope that's ok. But I definitely have some others to share! Im your newest follower and linky follower...would love for you to come by! Hi again Sara! Thanks so much for featuring my Coffee Filter Wreath! I do totally love it! I'm your newest follower too! Thanks for hosting this awesome party! I've linked up!